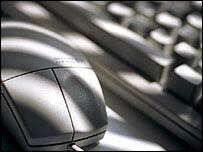 Fake internet sites set up by cyber bullies are causing misery for many young people. One mother from County Fermanagh has described the distress caused by a fake Bebo page created about her child which made fun of them. It contained photographs and references which mocked them. She said it affected their personality and school work; they became grumpy and found it hard to concentrate. It might very easy to make a fake Bebo page about someone but it is also easy to find out who is behind it. The police helped to trace the six people responsible and the page was removed. Bebo said it will remove anything that is inappropriate which is reported to them and the police work with internet service providers to trace offenders who may then be prosecuted. PC Leslie Ward from the PSNI Community Safety Unit in Enniskillen is running an internet safety course in schools for parents and children. She said online bullying is becoming more common. "Most people's worries are online predators and young people being groomed online. "The main problem that I would be seeing at the minute is actually a problem with social networking sites such as Bebo and cyber bullying." Parents and pupils at St Comhghall's High School in Lisnaskea have taken part in the internet safety course. Changing the security settings to make your Bebo page private means instead of 30 million users being able to see your page, only your family and friends who you allow will be able to access it. Parent Joannie McGrade said: "I didn't realise that you had to select to have your profile private and different things like that and just how easy it is for just anybody really to look in. "All of my kids would have bebo sites so you know it's definitely been a wake up call!" One of the pupils said: "I have a Bebo site and whenever I go home I'll put it on private... so people can't get in and look at my details." Tracey Armstrong is a project officer with Everybody Online which helps to break down barriers for people who don't know how to access technology like the internet. She said it is important to always be thinking about who you're talking to online. "Whenever you're on the internet and someone gets in touch with you who you do not know, you really don't know if that person is who they say they are. "They could be a completely different person behind the photograph and their name." She added: "If you put information up on the internet it's really like giving somebody the keys to your house and whenever you're out in the street you'd never do that. "So it's always important to exercise caution before you post anything on to the internet about yourself. At the end of the day the internet is a really useful tool but unfortunately it's open to abuse like anything else."